The members of the Pennfield Presbyterian Church of Battle Creek welcome you! As you peruse our website, we hope you catch a glimpse of who we are and what we stand for. Our building sits on five acres of rolling hills right off M-66, Capital Ave. in Battle Creek. Founded in 1961, the church is a vibrant congregation with many outreach and mission programs, along with Christian education for all ages. Come join us for Sunday worship at 10 a.m. and find out how Christ can change lives and your life! 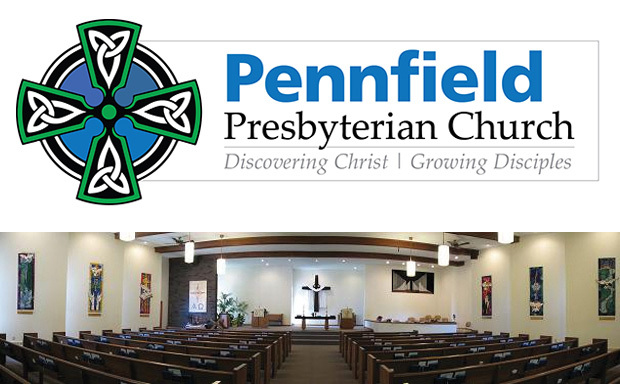 Enter your email address to subscribe to Pennfield Presbyterian and receive notifications of new posts by email. Tonight at 6 p.m. we worship at the First Presbyterian Church, Battle Creek for Maundy Thursday. Pennfield Presbyterian Church is with Annemarie Kidder and 6 others.